330-646 (51.1 pct.) 4,965 yds, 43 TD (* league games only): All-State in football, basketball and baseball, he led the Highlanders to two Greater Spokane League football titles and earned Parade Magazine All-American honors. Finished prep career with 6,460 passing yards and 56 touchdowns. Was All-Pac-10 at Washington State and earned two Super Bowl rings, including his MVP performance in Super Bowl XXVI. 1,006-1,576 (63.8 pct. ), 13,044Y, 128TD: Mark Rypien’s nephew, he put up staggering numbers at the helm of the Highlanders. Finished with 13,044 yards, eclipsing the state record held by Max Browne, who went on to USC and is now at Pitt. Rypien also broke Browne’s record for completions with 1,006. Shadle Park reached the state semifinas in Rypien’s junior year and quarterfinals in his senior season. 44-97 (45.3 pct. ), 706Y, 13TD: Roffler, a remarkable multi-sport athlete, guided the Tigers to city titles as a junior and senior. The dual-threat QB led the league in rushing both seasons and finished his career with 1,334 on the ground. Roffler played football, basketball and baseball at WSU before playing defensive back for Philadelphia in the NFL. 451-673 (67.0 pct.) 6,485Y, 74TD: Directed the Vikings to back-to-back state titles, capped by a 12-0 mark in 2011. Passed for 3,641 yards and 42 TDs as a senior. Chalich broke a bone in his foot in the 2011 state semifinals but stayed in the game. 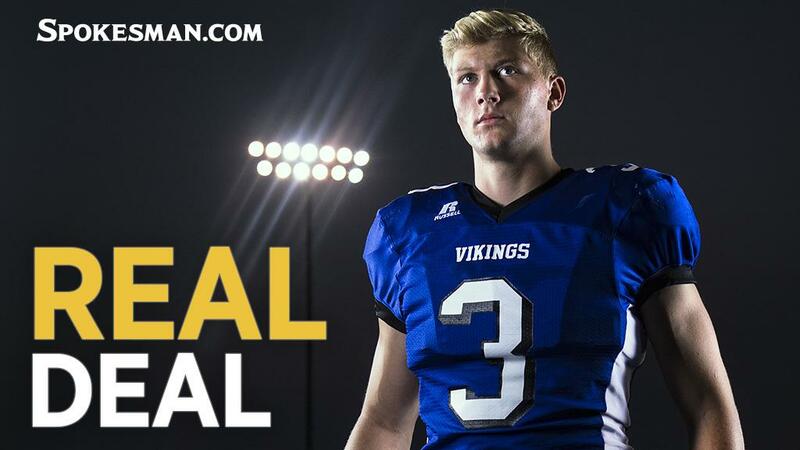 A week later he had the cast removed, passed for 410 yards to lead the Vikings past Eagle 49-28 in the title game. He played two seasons at Idaho and two at Montana. 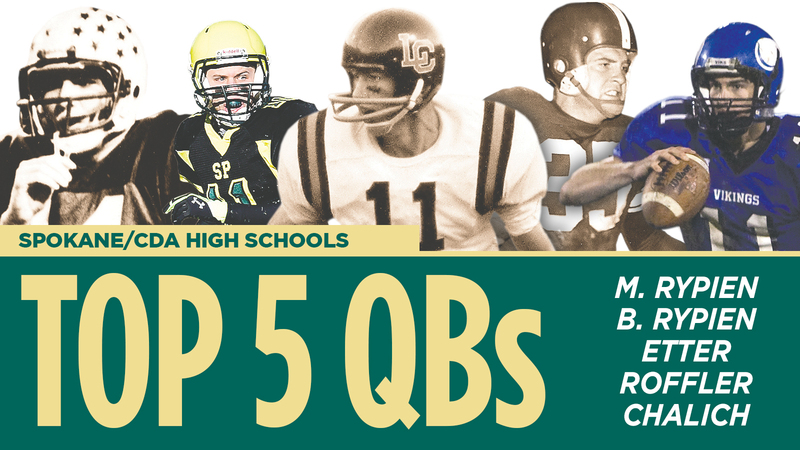 Connor Halliday, Ferris (2008-09); Ron Hawkins, Gonzaga Prep (1985-86); Ryne Sandberg, North Central (1975-77); Denny Spurlock, North Central (1955-57); Mike Pfeifer, Ferris (1985-87); Colson Yankoff, Coeur d’Alene (2015-17); Joel Clark, Mt. Spokane (2000-02); John Friesz, Coeur d’Alene (1983-84); Jim Dorr, Rogers (1977); Scott Wellman, Coeur d’Alene (1981-83); Terry Campbell, Rogers (1947-50); Rick Sloan, Central Valley (1979-80); Duane Halliday, Coeur d’Alene (1984-85).